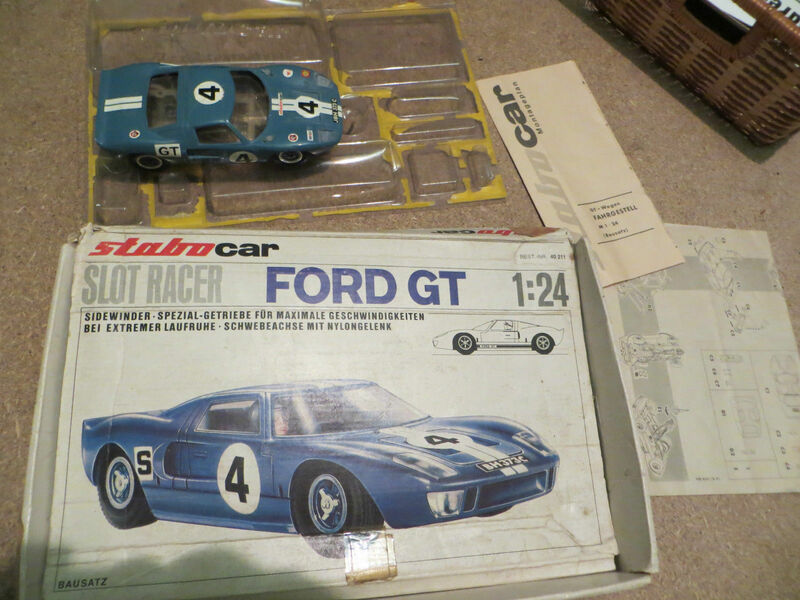 StaboStabo was a German company mostly known for their oversize 1/32 scale slot car models. 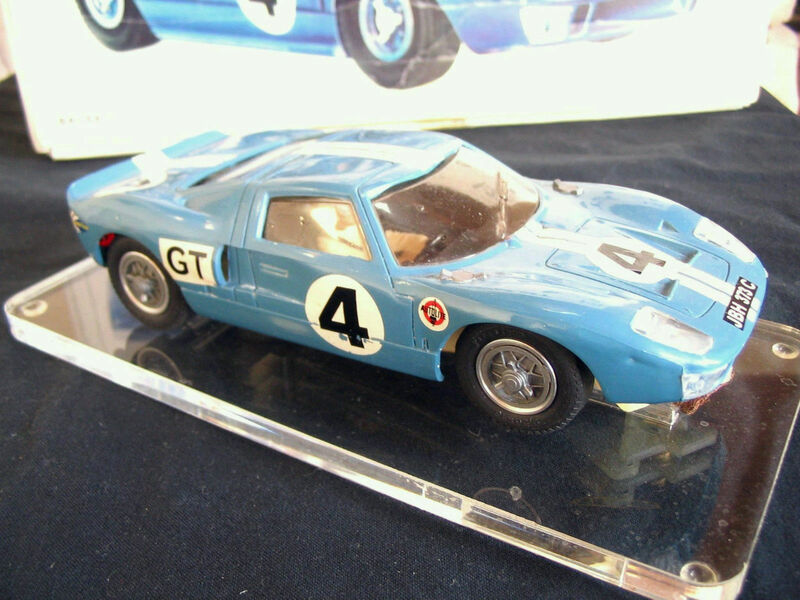 However, in 1968, they issued several kits of great interest including some in collaboration with Tamiya. 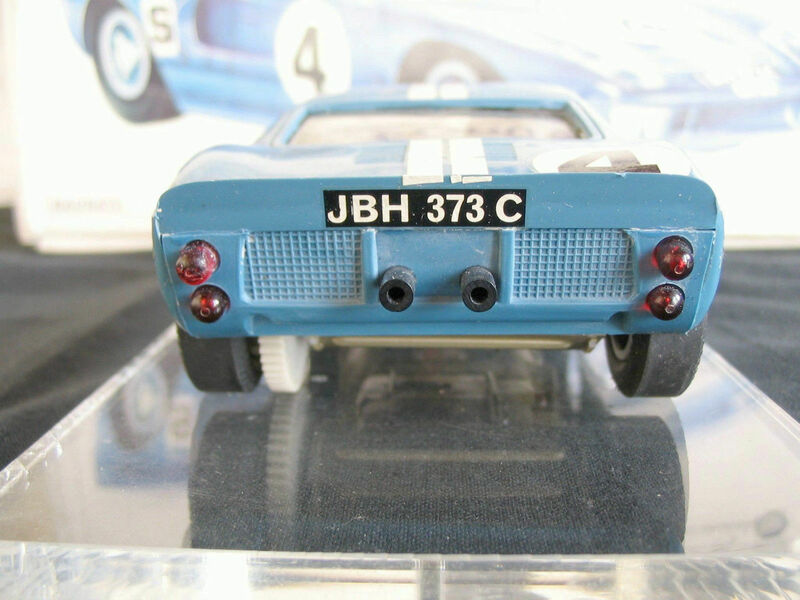 In the late 50s and early 60s slot racing boomed with the advent of championships and attractive prizes, initially proving very popular in the United States. 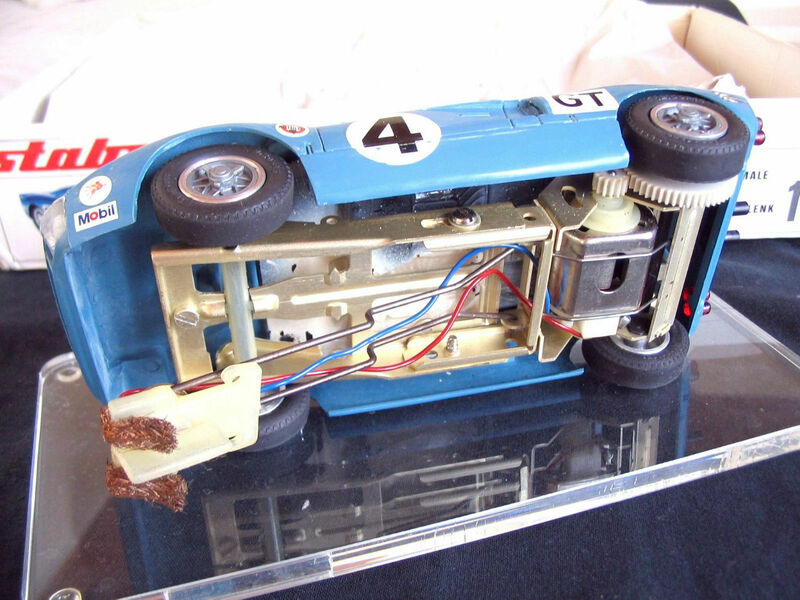 These championships were raced with slotcars in 1/24 scale, running 12V motors, via a car battery. Car batteries were the staple power supply at the time since regulated mains power supplies were unavailable or extremely expensive back in the day. Racing centres with a lot of space offered several, usually 8-lane tracks with banked corners and driving distances between 20 and 80 meters per lap. 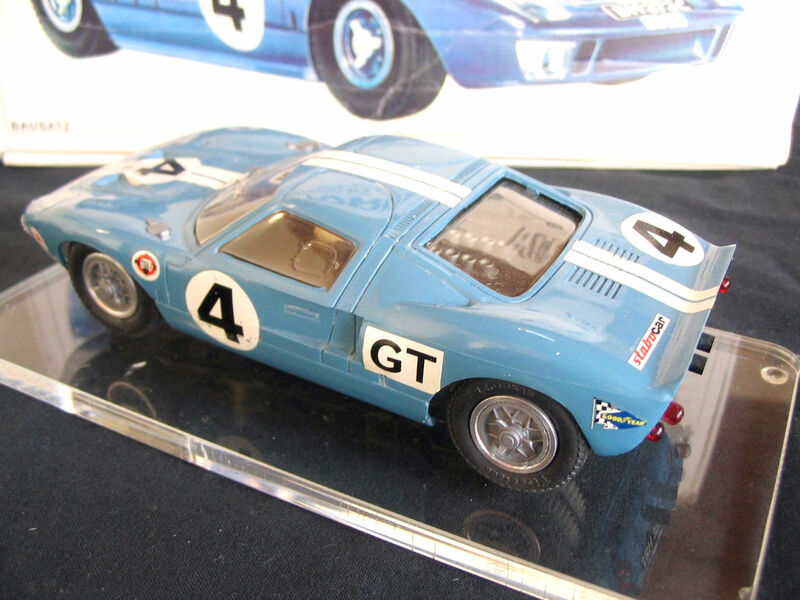 Tuning parts, kits and ready-to-race slotcars were all on offer by many companies. The first home racetracks were available from the mid to late 50s by a few companies including British companies in the toy trade. 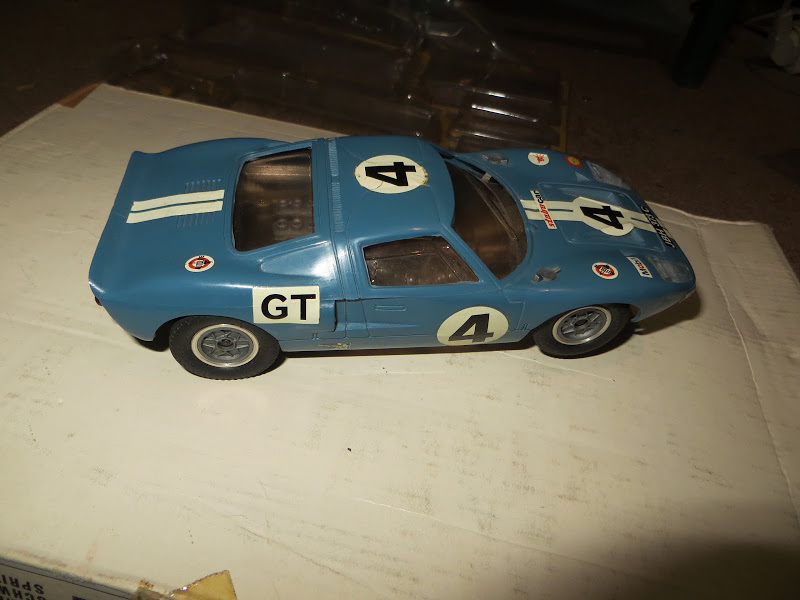 These manufacturers often started out producing other products such as model kits or trains and accessories such as Becker and Tri-Ang (Scalextric). 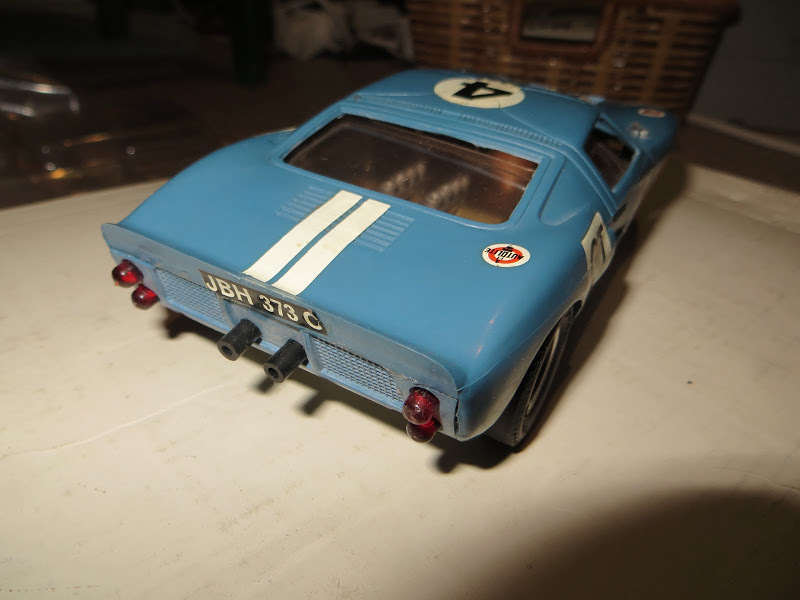 Scalextric hit the German market in the early 1960s and almost simultaneously Stabo, known as a manufacturer of radio equipment, began producing a rail system ‘Stabo Car’ with slightly rounded cars, designed for children's hands. 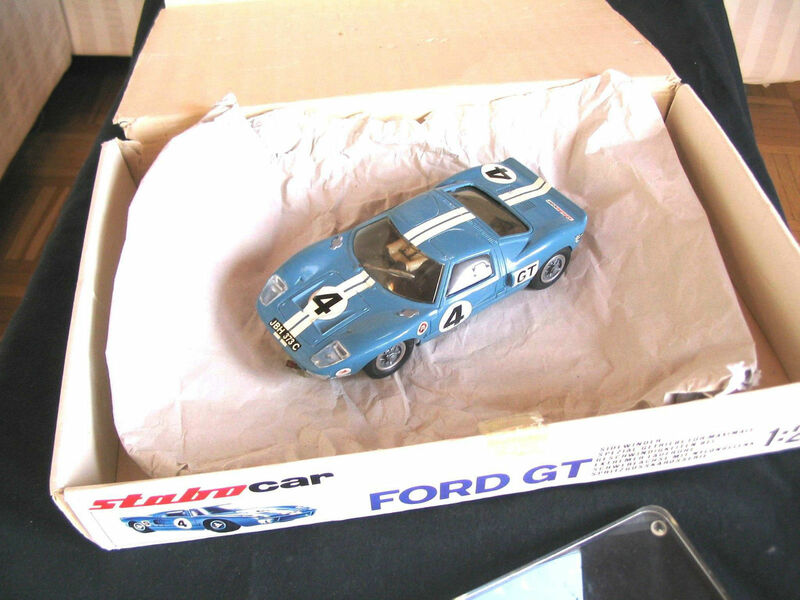 Another company also pursued a similar concept at the time called Carrera with its ‘Universal System’, which also had great success and today Carrera is one of the best-known manufacturers of slotcars. Other model railway manufacturer joined the trend including: Marklin with ‘Märklin Sprint’, Fleischmann with ‘Rally Car Racing’ and Arnold with ‘Mini mobile’. 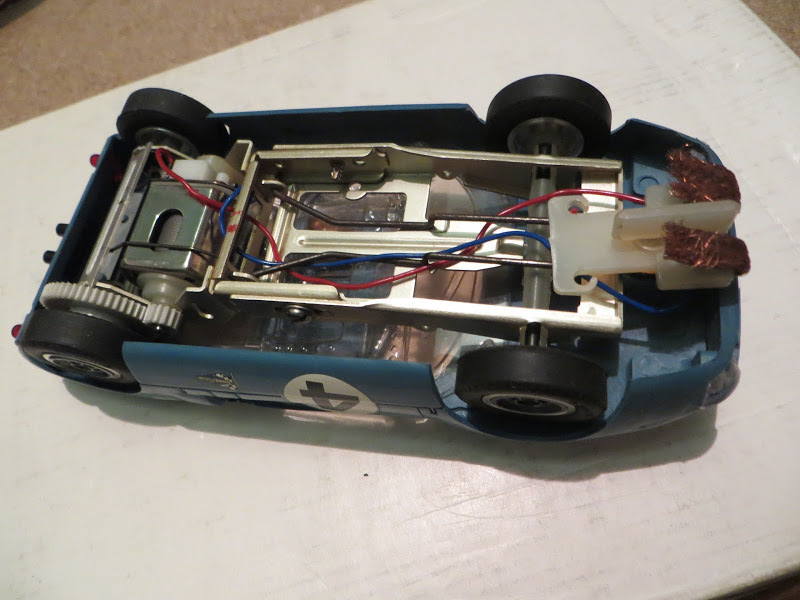 Stabo, Fleischmann and Carrera tried additionally with kit cars in 1:24 scale and Ready-to-Race slotcars (RtR). Their success, however, remained modest. From mid-1960 the Cologne Manufacturer Minerva went up against the US imports that dabbled in the German market. 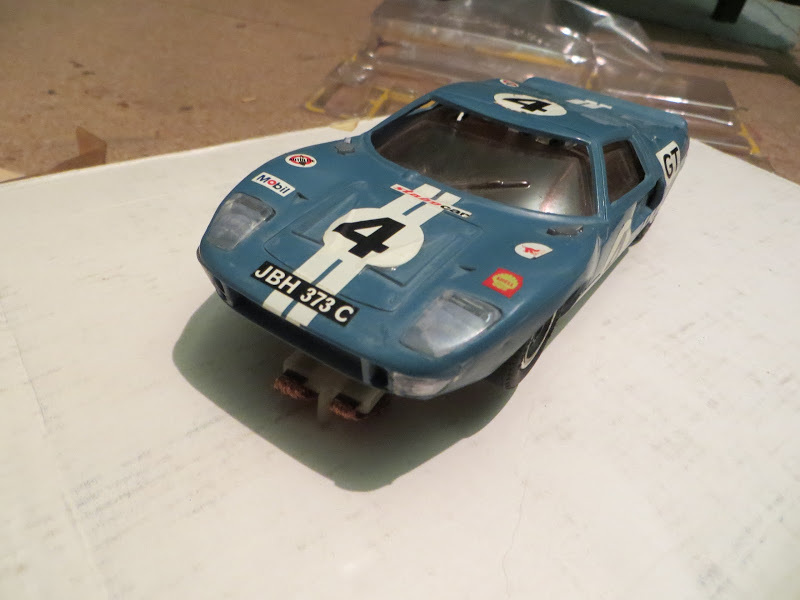 Airfix, MRRC and Revell. At the time mainly known for plastic model kits Revells slotcar slogan: ‘Build - Race - Win’ also released their own home track systems. The Revellbahn was somewhat wider than the usual 1/32 products and thus suited 1/24 slotcars. Stabo and Carrera now also expanded their offerings. 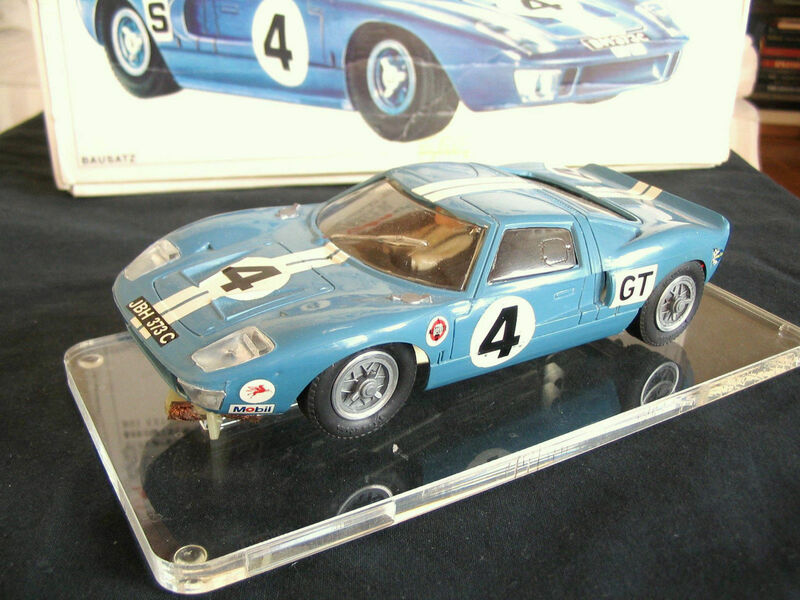 Which included Carrera’s 8 lanes 1/24 track system ‘Carrera 124’ (now issued as ‘Carrera Exclusiv’) and Stabo’s 1/24 scale system. Unfortunately, the boom ended in the early 70s. Commercial race centres experienced a down turn in attendance and sales. To try to keep business rolling they turned to other entertainment such as pinball machines, billiard tables and/or table tennis and subsequently many manufacturer stopped production. While trying to stay afloat Stabo and Carrera to a lesser extent tried their hands at the home rail systems a model and game landscape with construction vehicles and transport tasks. 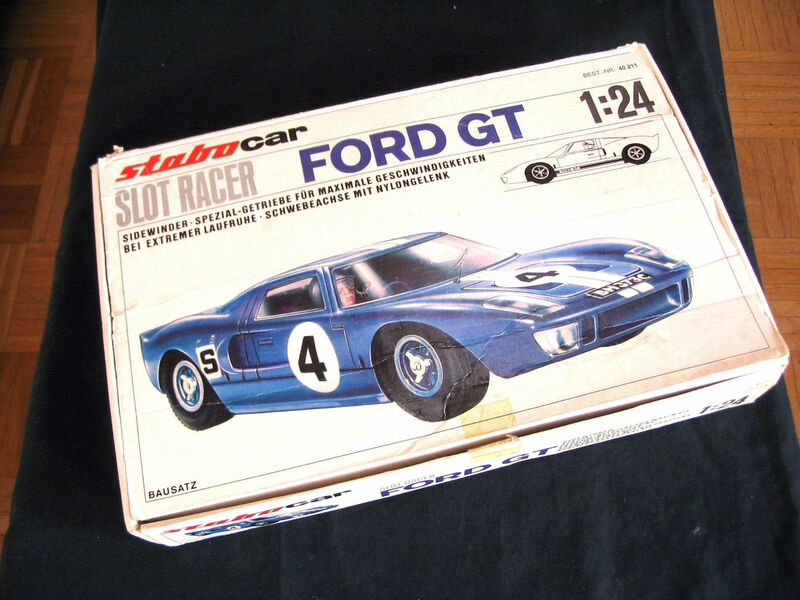 Unfortunately, this was not crowned with lasting success and Stabo eventually ceased production of slotcars.